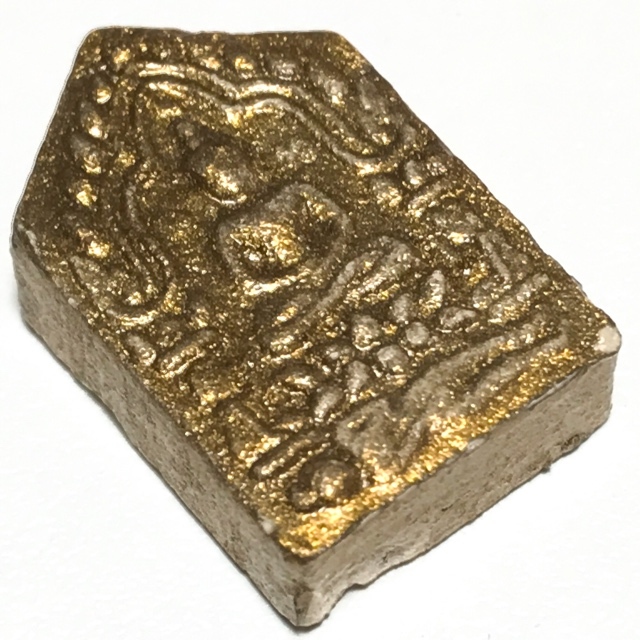 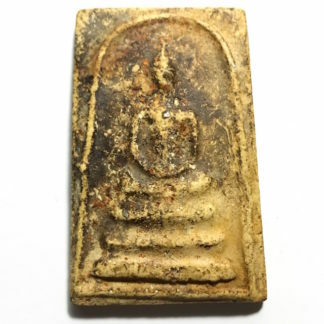 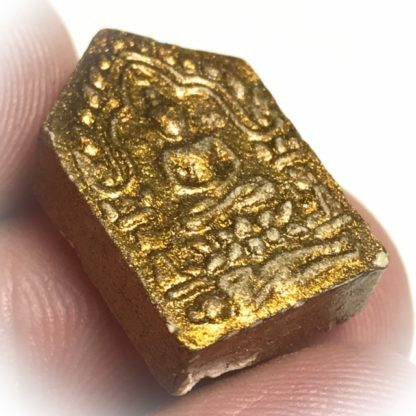 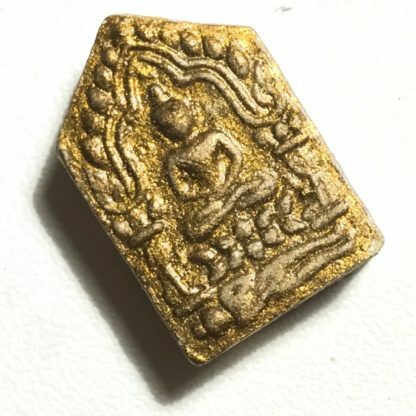 Only once in a very long time does one come across a Pra Khun Phaen Pong Prai Kumarn 2543 BE release amulet from the great Luang Por Sakorn of Wat Nong Grub, top Master Geji Ajarn of Rayong, and first Looksit of the Great Luang Phu Tim, of Wat Laharn Rai (Rayong). 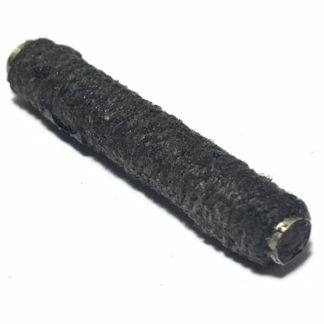 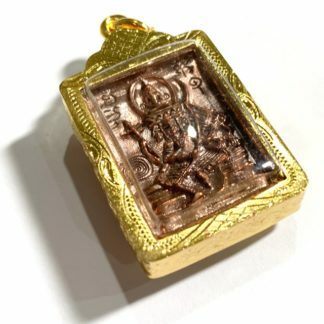 Casing is included with this amulet. 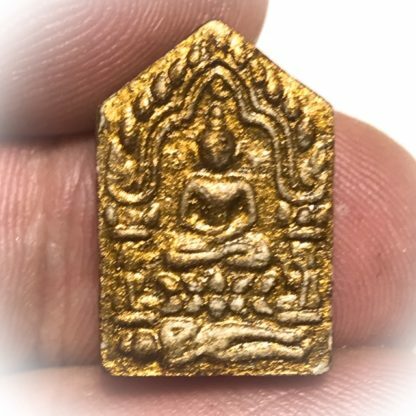 This model is in Nuea Khaw Pasom Pong Prai Kumarn, with Sai Rae Tong Kam golden powder flake coating on front face. 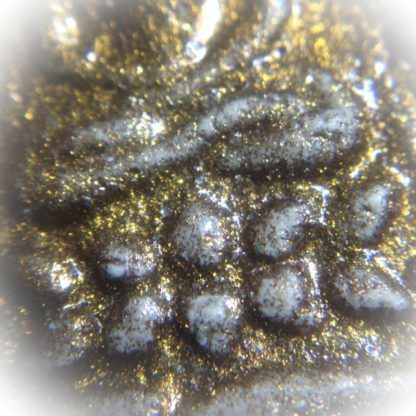 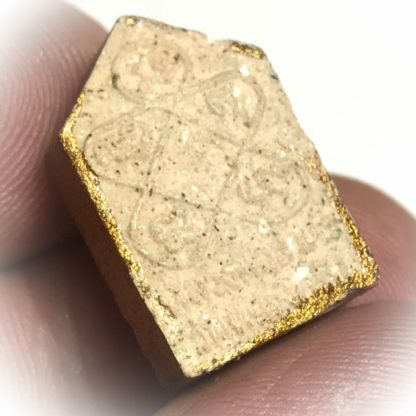 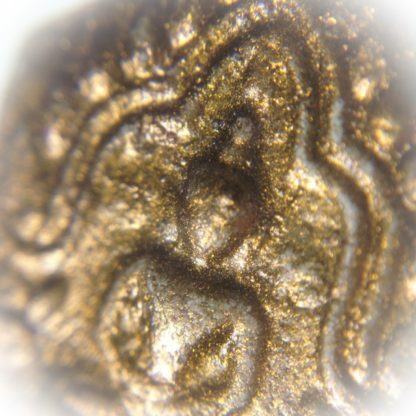 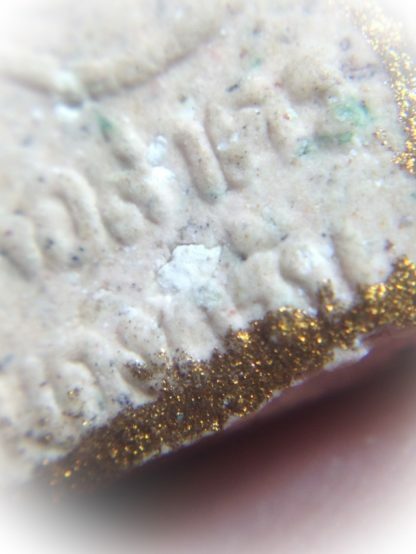 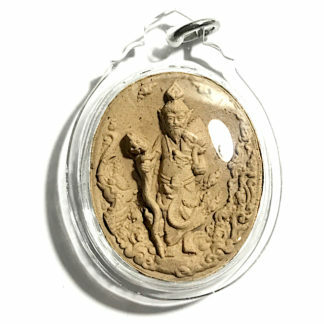 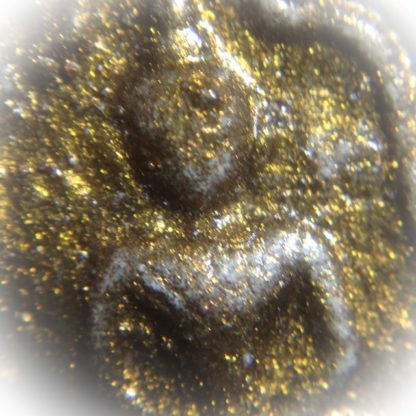 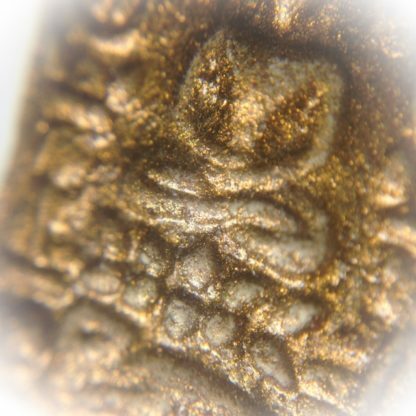 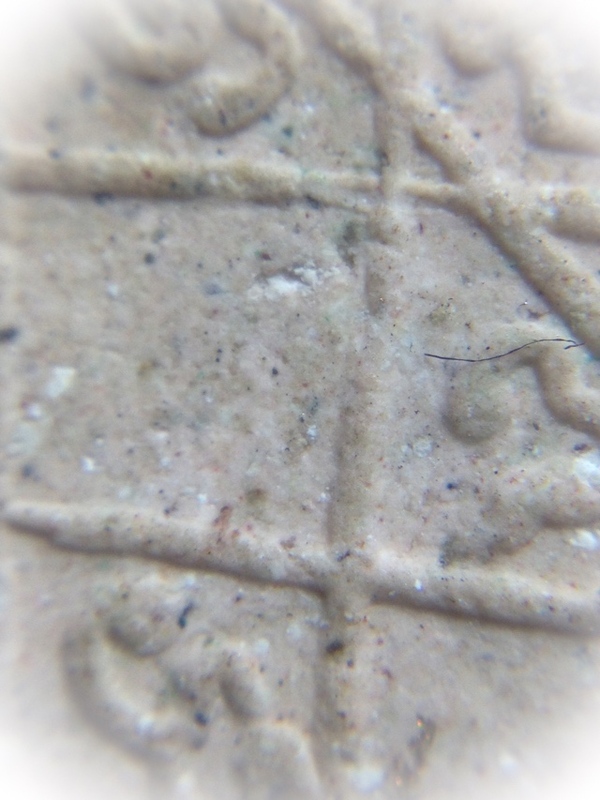 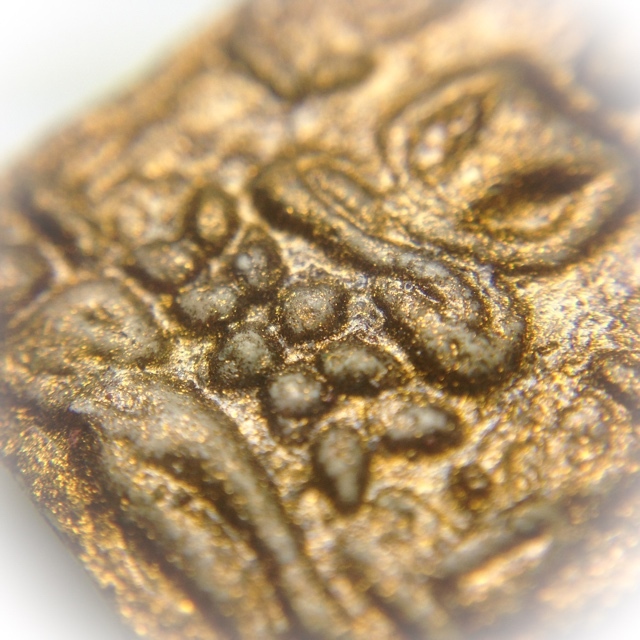 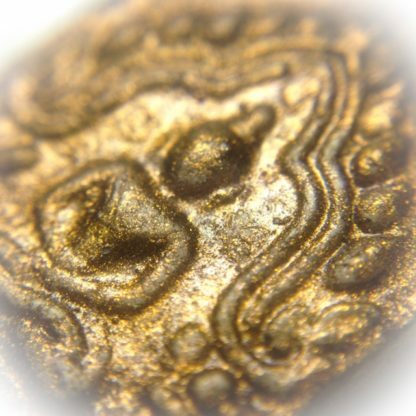 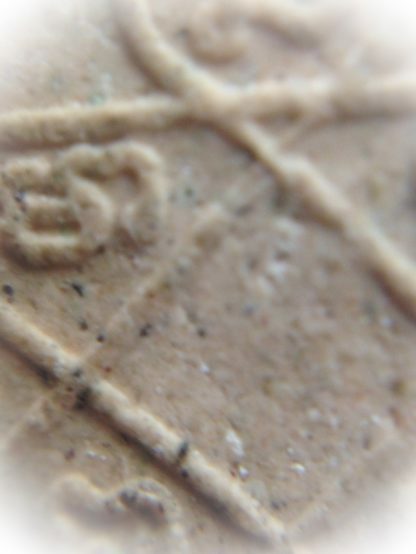 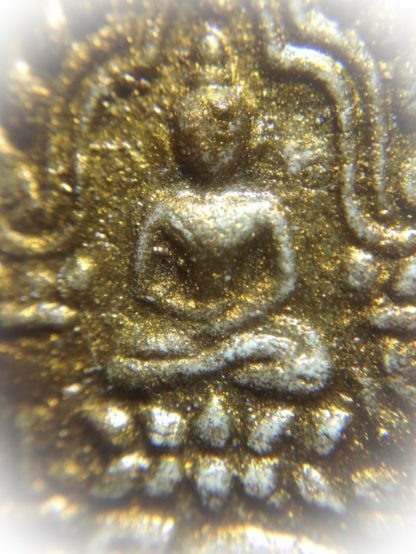 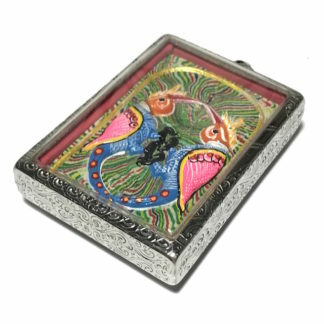 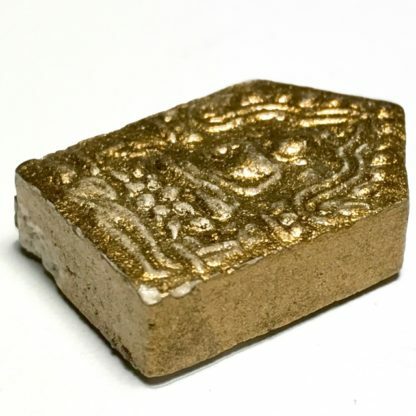 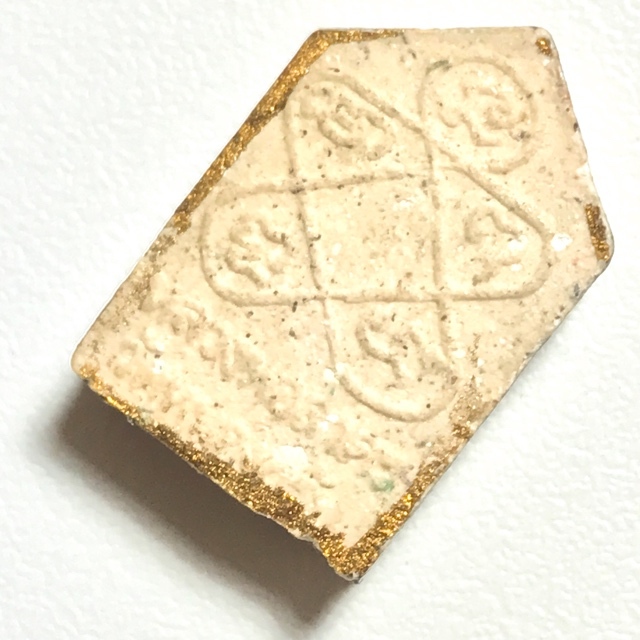 The Muan Sarn Sacred Powders of the amulet when viewed close up, reveal the authentic content seen in all authentic Pra Khun Phaen Pong Prai Kumarn of the Luang Phu Tim lineage, of which until his recent passing, Luang Por Sakorn was the head of the movement as first Looksit of Luang Phu Tim. 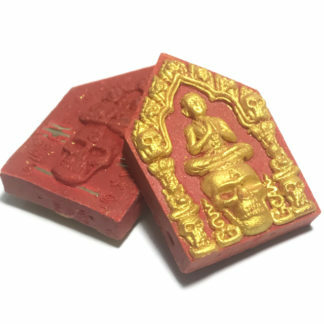 The Pra Khun Phaen 2543 Edition is one of the most preferred editions, and was both pressed and blessed in the temple enclave. 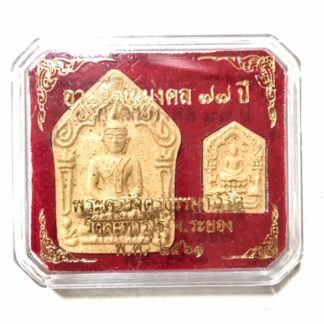 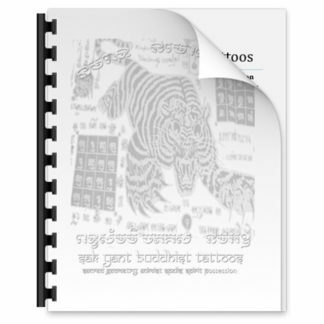 This edition was special for the inclusion of Paeng Sek blessed talcs from Luang Por Gart of Wat Sak Gor Phai, which is the only edition which contains these powerful powders. Pong Prai Kumarn of Luang Phu Tim, Pong Maha Niyom Yai, Pong Wan Sabu Luead, Pong Jinda Roop Tong, Pong Maharach, Pong Pra Jao Khao Nirote, Pong Un Lum, Pong Bpathamang, and Pong Paeng Sek Luang Por Gart. 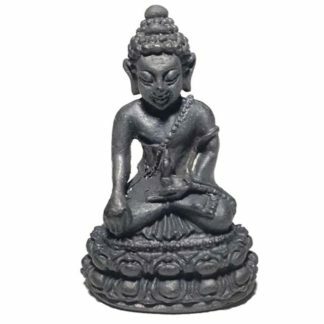 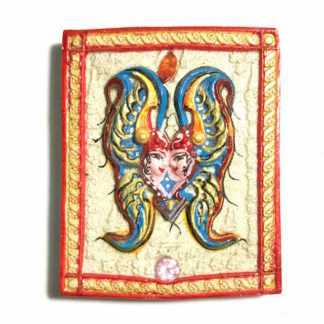 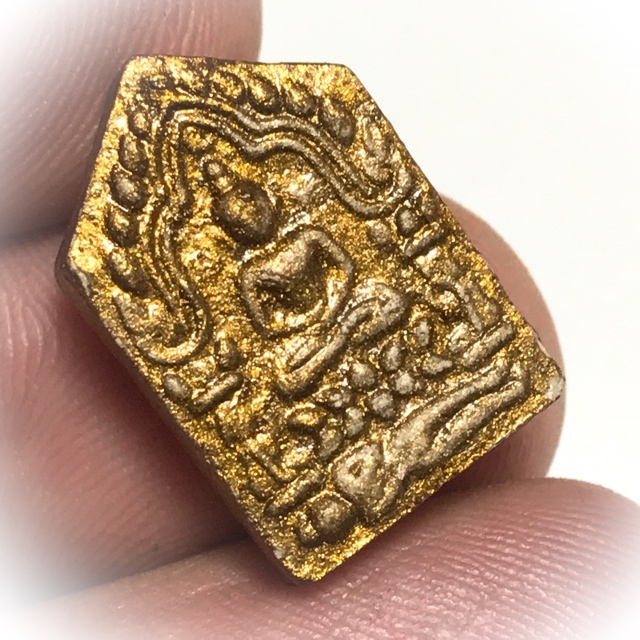 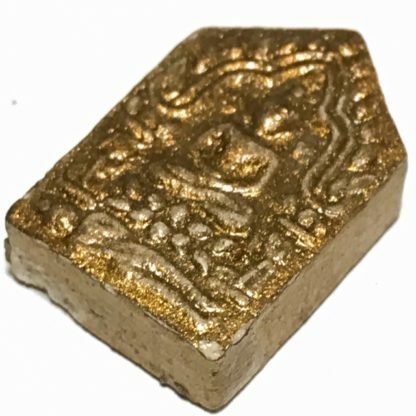 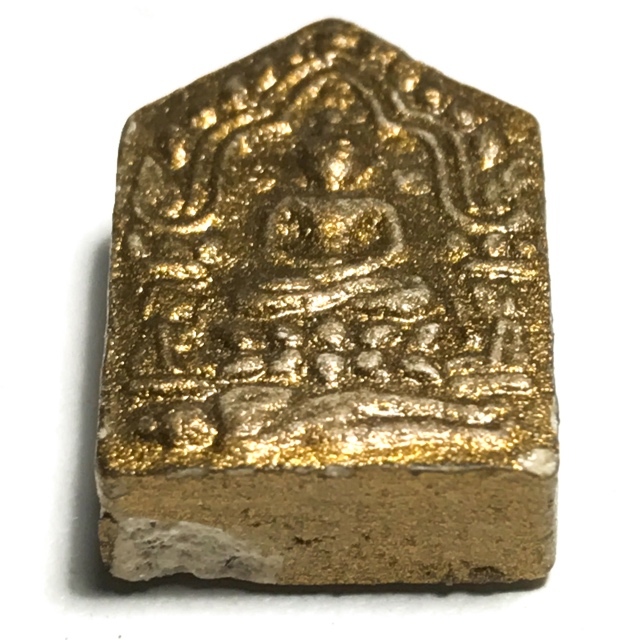 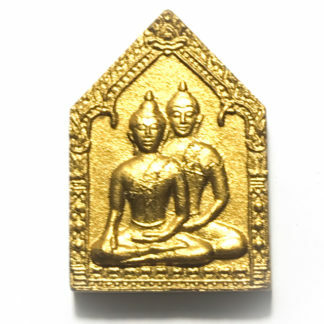 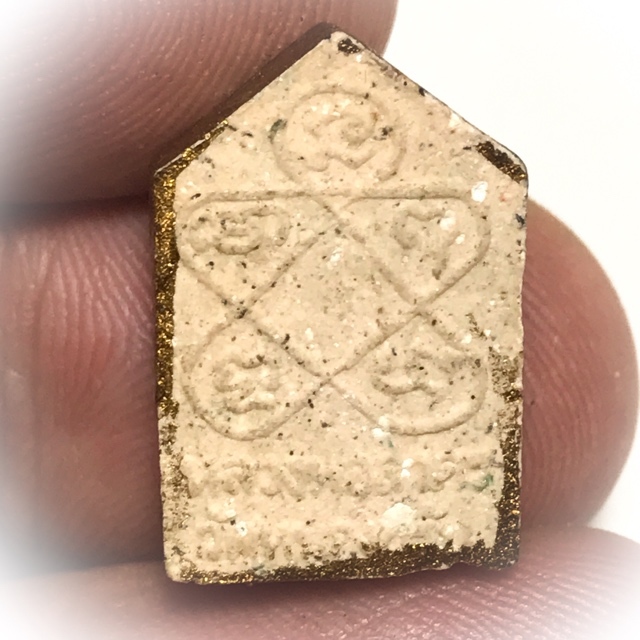 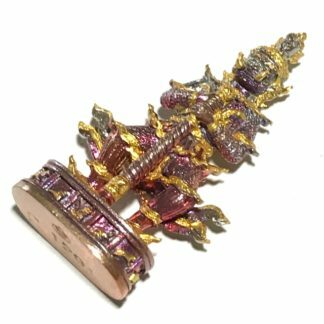 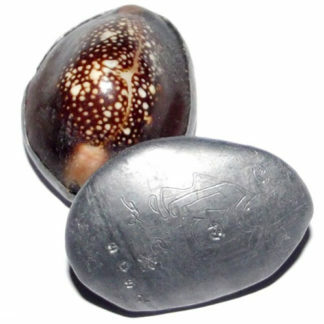 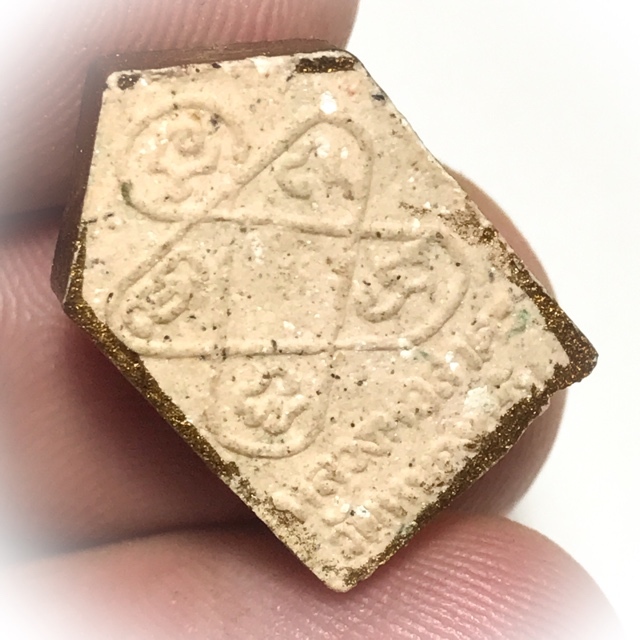 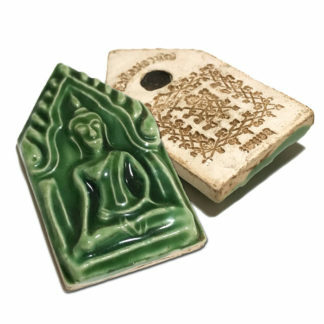 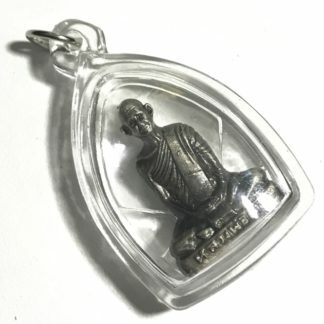 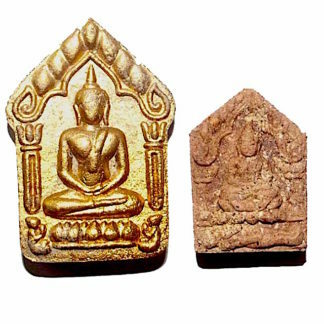 The Khun Phaen Amulet is highly renowned Powerful Metta Maha Niyom Mercy Charm, Maha Lap Lucky Fortunes, Serm Yos Promotion of Status, Maha Sanaeh, Power of Attraction, and Klaew Klaad Evasion of Dangers.